Rad Rodgers Radical Edition will launch for Switch alongside a free update for the already available PlayStation 4, Xbox One, and PC versions on February 26, publisher THQ Nordic announced. 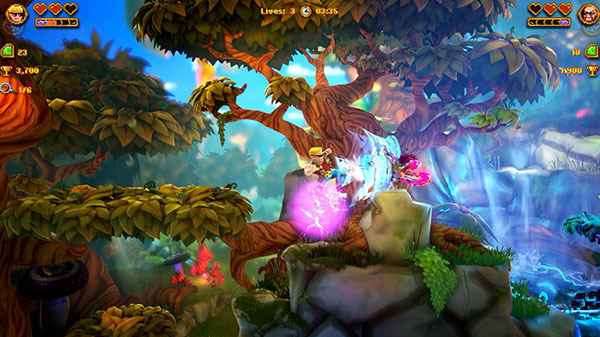 Rad Rodgers Radical Edition will release on Nintendo Switch in early 2019. Current owners of the game on PC, PlayStation 4, and Xbox One will also receive all the new Radical Edition via a free update. Two-Player Couch Co-op – Play together with a friend! Enemies can prepare themselves for tough battles.